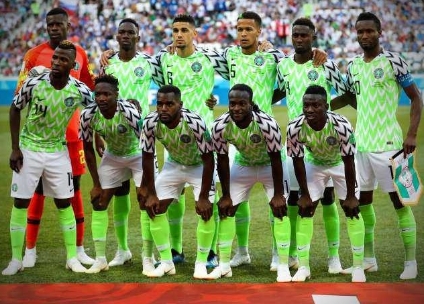 It has been reported that the Super Eagles of Nigeria may get to play a friendly against Saudi Arabia after their 2019 African Cup of Nations (AFCON) qualifier against Seychelles. According to several reports the Nigerian Football Federation (NFF) are still negotiating with their counterparts Saudi Arabian Football Federation (SAFF). However, the two associations are working on the friendly to take place after their scheduled matches. The two countries both participated at the 2018 FIFA World Cup in Russia and failed to progress from the group stage. The friendly is however expected to be confirmed in the coming days as Super Eagles head coach Gernot Rohr has already released a 24-man squad which will prosecute both games. It is hoped that the game would be interesting for Super Eagles especially knowing that Ahmed Musa who recently joined Saudi Professional League clubs Al-Nassr from Leicester City would be a part of the match.